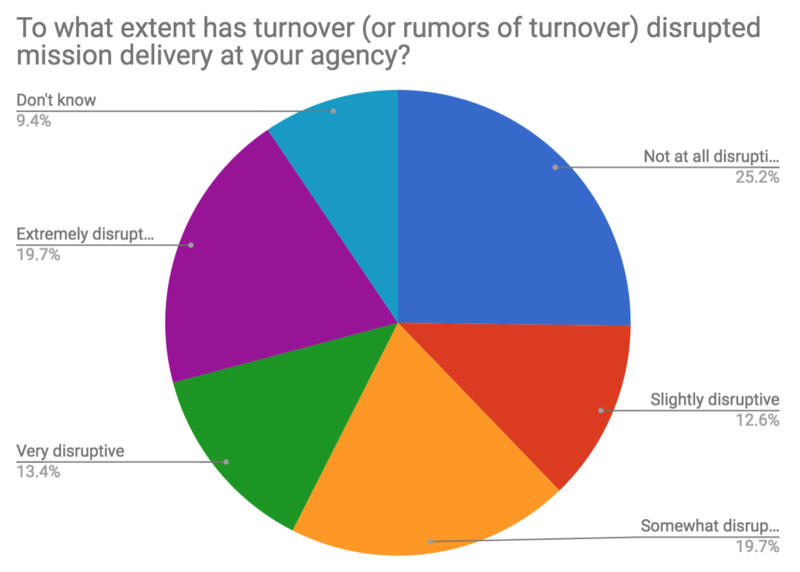 A majority of federal employees believe turnover or rumors of turnover have been at least somewhat disruptive to their jobs, according to a new survey. Just one in four feds say the shakeups in agency leadership have had no impact on mission delivery, while one in three say they have been very or extremely disruptive. The poll was conducted by the Government Business Council, the research arm of Government Executive Media Group. President Trump has in his 15 months in office fired or requested the resignation of Health and Human Services Secretary Tom Price, Secretary of State Rex Tillerson and Veterans Affairs Secretary David Shulkin. Gary Cohn, director of the National Economic Council, and two national security advisers have also stepped down, while Environmental Protection Agency Administrator Scott Pruitt remains on the hotseat and Homeland Security Secretary John Kelly was reassigned. Trump has shuffled around some of his appointees to fill vacancies and reportedly considered doing so for more Cabinet-level positions. Some agencies, such as State and EPA, have seen dramatic turnover among career staff. Some of the high-profile departures, such as Price and Shulkin, came after reports of ethically questionable behavior, such as travel expenditures. Pruitt has remained in his position, with a recent vote of confidence from the president, despite a wide array of ethical questions ranging from a leasing arrangement with the wife of an energy lobbyist to abundant first-class travel to the use of an obscure law to secure large raises for top aides. 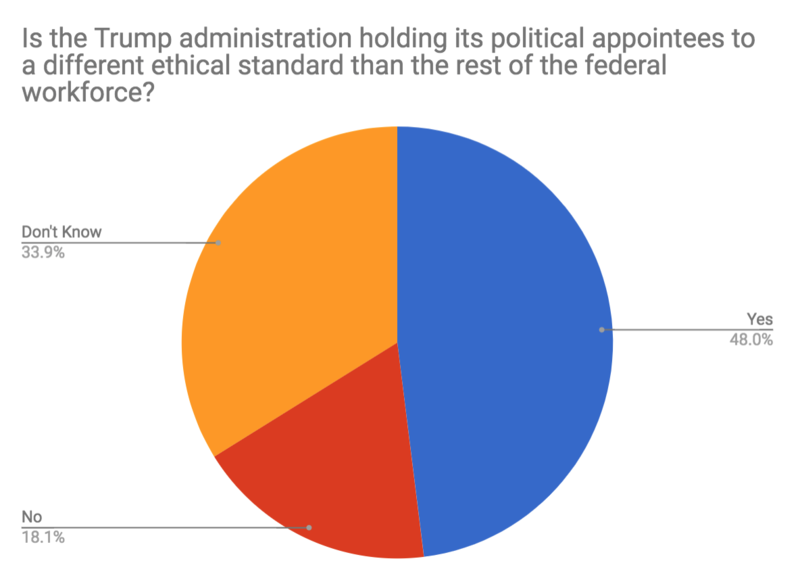 About half of federal employees say the Trump administration is holding its political appointees to a different ethical standard than the rest of the civil service workforce, according to the survey, while just 18 percent say appointees and career workers are held to the same standard. One-third say they do not know. 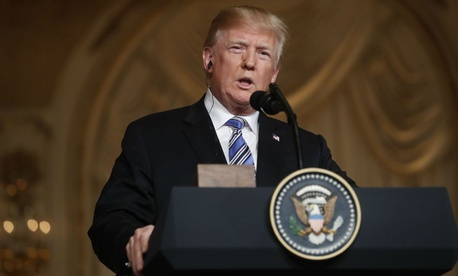 When Trump last month signed into law an omnibus spending agreement, he said he was accepting the measure despite a large amount of wasteful spending included in the package. One in six federal employees agree with the president, saying the bill would lead to “more waste and unnecessary programs.” Just under one in five believe it will help their agency operate more effectively, while a plurality do not expect an impact or are not anticipating any increase. The Government Business Council fielded its survey from April 4 to April 16, 2018, to a random sample of Government Executive, Nextgov, Defense One, and Route Fifty subscribers. 138 federal employees qualified for the survey. The margin of error is 8 percent.